Lead paint poses serious health risks, especially to young children who are likely to ingest lead paint flakes or dust while playing. 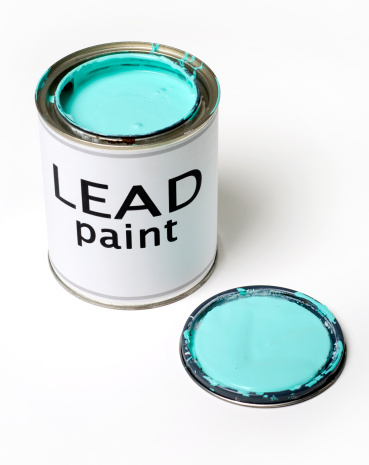 If your home was built before 1978, it’s highly likely that it contains lead paint. Though the hazardous paint layer has probably been covered up multiple times with fresh coats of paint over the years, it could still pose a danger to you and your family should it become exposed and damaged. Fortunately, there are 4 different methods for eliminating lead paint hazards and one of them is sure to be suitable for your situation. The first method for lead paint abatement is replacement, which entails replacing the entire painted material. This method is often used to deal with lead-painted windows. Windows are a prime source of lead paint dust because the friction of opening and closing the sash quickly wears through layers of new paint, exposes the lead paint, and creates lead dust. By removing the entire window and replacing it with a new one, you can eliminate this particular source of lead contamination. The enclosure method calls for lead paint to be covered by drywall, paneling, or siding. This protects the painted surface from weathering, prevents children from touching it, and ensures that any dust particles or paint chips that may fall off the wall in the future will be contained behind the new surface where they can’t harm anyone. The drawback of this method is that even a small crack or gap will make the enclosure ineffective. Encapsulation stabilizes old lead paint so that it can’t flake or chip. The entire painted surface will be coated with a durable liquid sealant to accomplish this. This method of lead paint abatement allows the lead hazard to be eliminated without risk of creating lead dust during the abatement process. The problem is that it will not last forever as the sealant may eventually wear through. Removal is the most effective and permanent way to eliminate a lead paint hazard. A removal must be undertaken with great care, because the act of removing the paint through stripping, scraping, or sanding will create lead dust. The area should be sealed off during lead paint removal activities and thoroughly cleaned afterwards, and workers should wear respirators. The EPA’s “Renovation, Repair, and Painting” rule, which sets certain standards for contractors working on lead paint abatement projects, doesn’t apply to homeowners working on their own private properties. However, you can still benefit from hiring an EPA Certified Lead Safe contractor to handle your project. A certified contractor will have the knowledge, skills, and experience required to control any lead dust that may be generated during the abatement process and to complete a comprehensive cleanup afterwards.